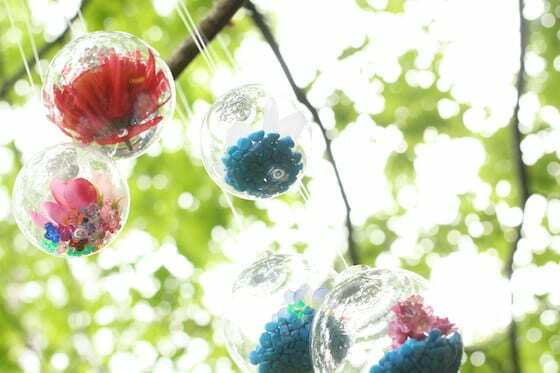 Turn clear, plastic Christmas balls into year-round Flower Drop Garden Ornaments that you can hang on a deck, patio or balcony when the weather warms up. 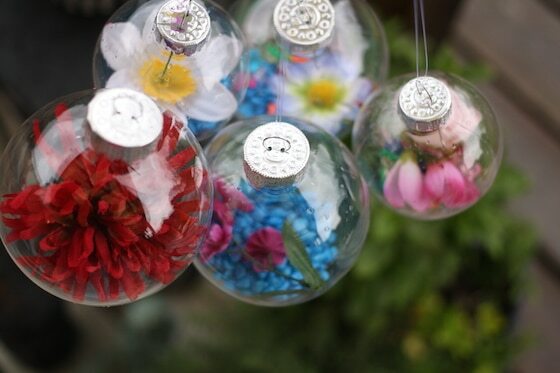 We make a lot of Christmas ornaments with clear glass and plastic balls, but this is the first time we’ve used them to make an outdoor garden craft. 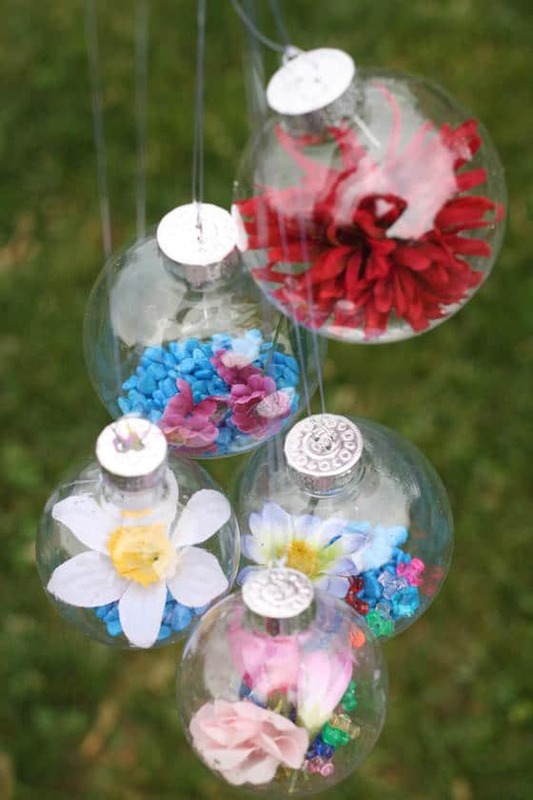 These “flower drop” garden ornaments are so easy and inexpensive to make, and they look AMAZING! I love these easy ornaments almost as much as the water-bottle wind spirals that we made recently. 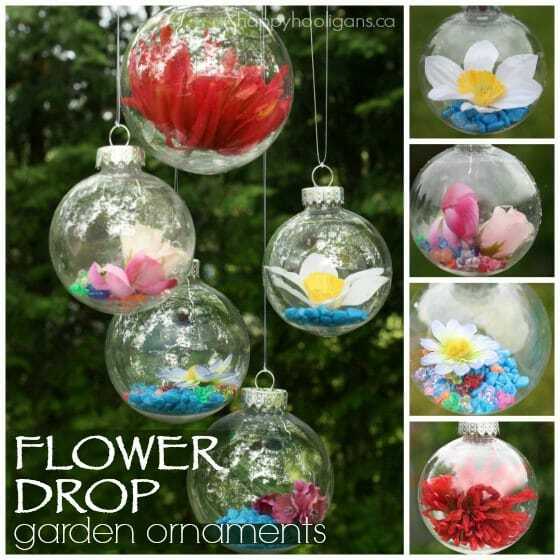 I got the inspiration for these Flower Drop ornaments the other day when I was at my Mom’s. 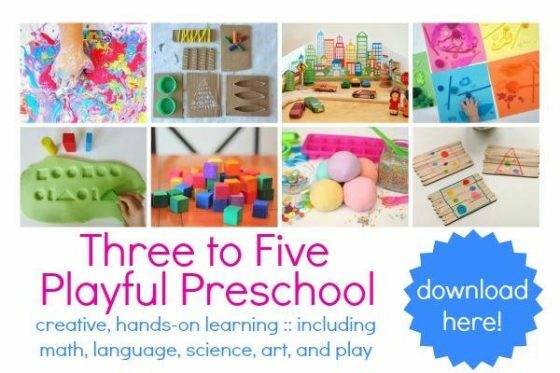 She had some gorgeous hand-blown, glass ornaments hanging in her garden, and the minute I saw them I knew we needed to make something similar here in my daycare. 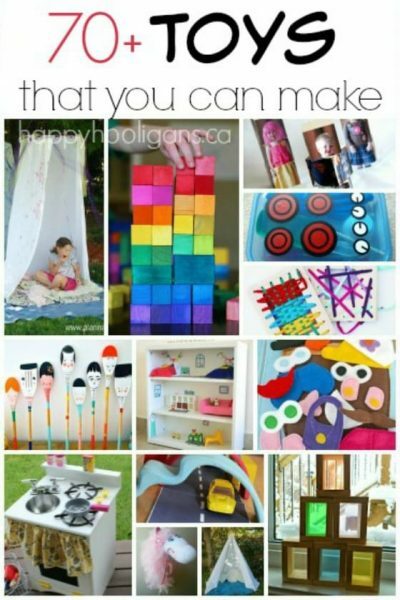 Ours would have to be non-breakable of course, and inexpensive, and totally do-able for toddlers and preschoolers. I came home, and rifled through the cupboards, and found exactly what we needed! 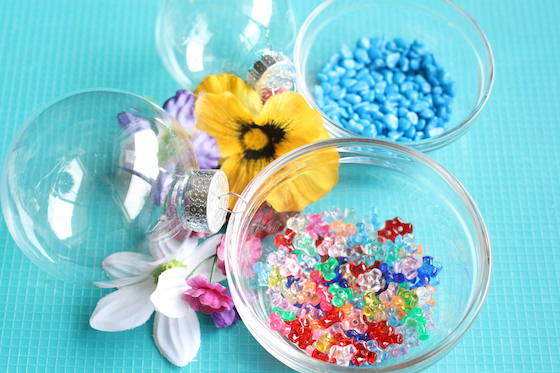 Normally, we use these clear balls for Christmas crafting, but you know what? 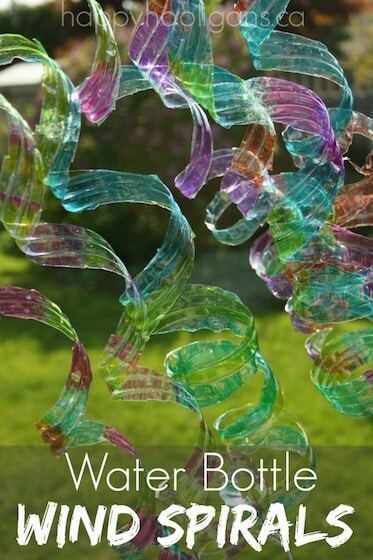 They make spectacular patio ornaments to hang in your outdoor sitting space or from the branches of a tree in your yard. 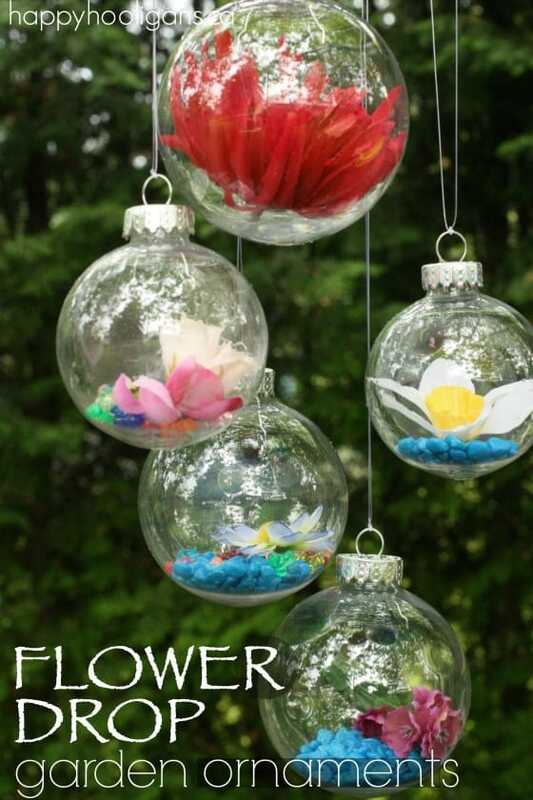 Making your garden ornaments couldn’t be any easier! 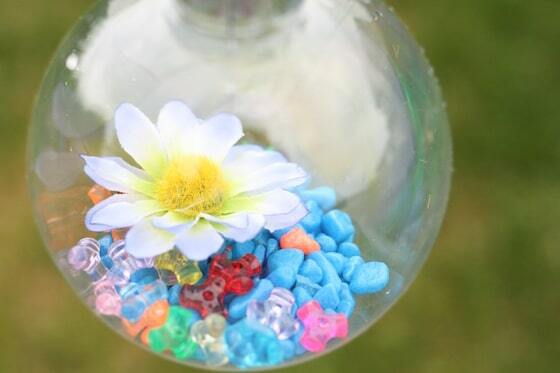 Just pop the top off your ornament, and have your child drop in a handful of beads or stones. 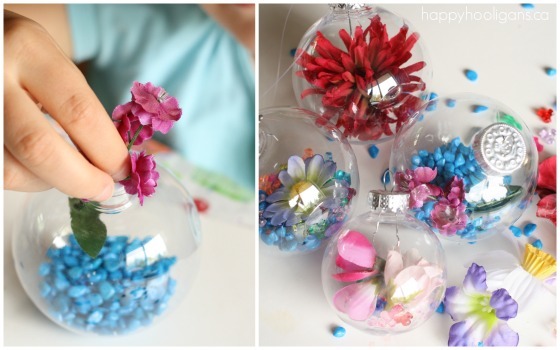 Little ones love dropping things into things, so filling the ornaments will be a hit with young children. 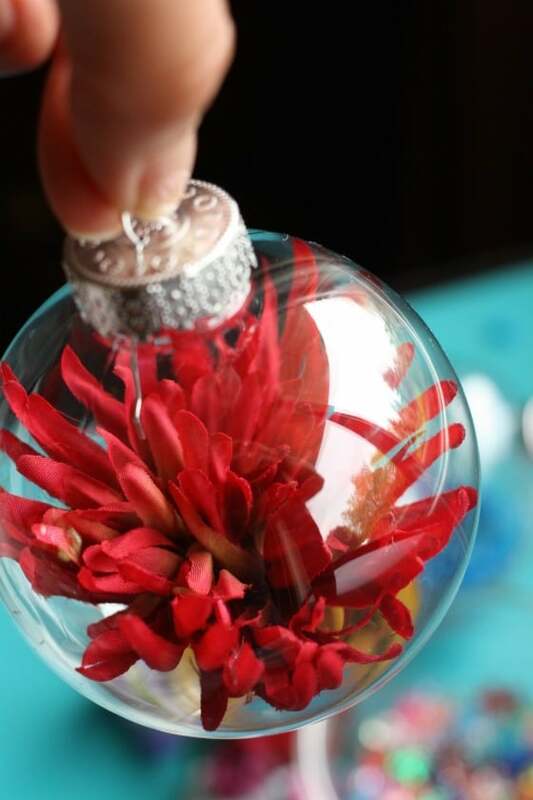 Next, push your flowers through the opening, and shake the ornament a little until you’re happy with the positioning of the contents. 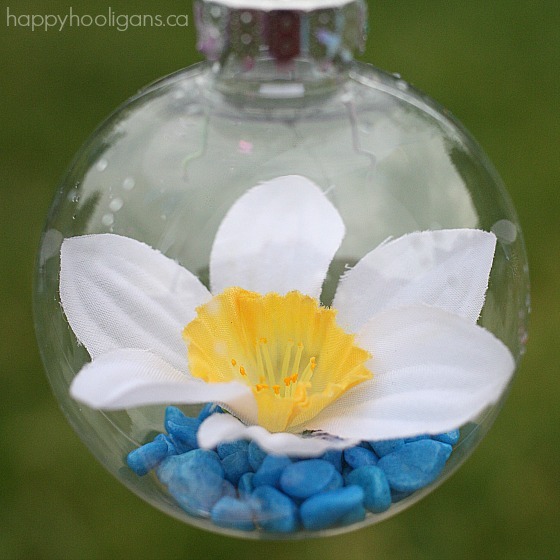 Here’s a very simple but stunning ornament that required just one large bloom. 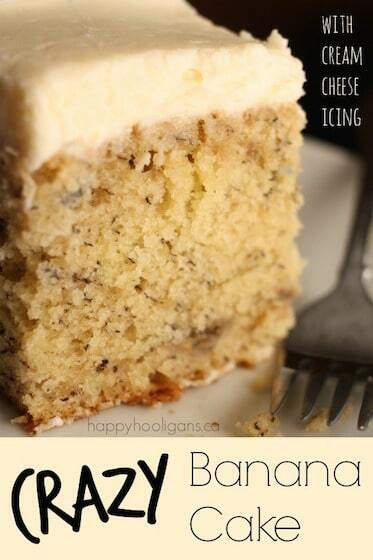 We didn’t add anything else because it was so lovely in its simplicity. When you’re happy with the way your ornament looks, pop the lid back on and loop some fishing line through the wire hanger. Note: Take care not to over-fill your ball. 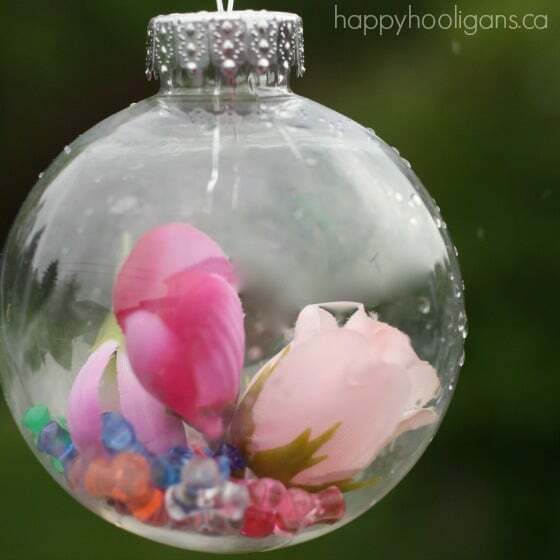 You want your ornament to be light enough that the lid doesn’t pop off under the weight of the contents when you hang it up. 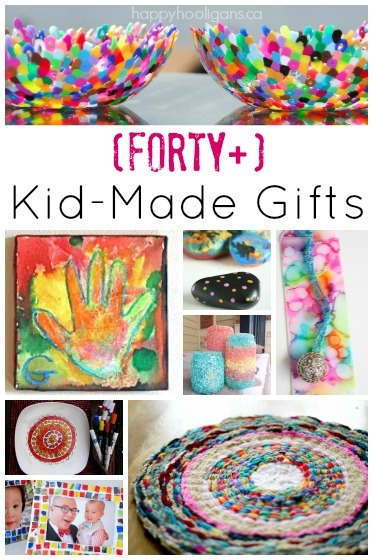 I just love it when we take a few basic craft supplies out of the cupboard and make something this beautiful! You can also pull these out at Christmas time, and hang them on your tree! One thing’s for sure! No matter where you display your ornaments, they’ll look amazing. These are so pretty. You know what would be a fun idea too? 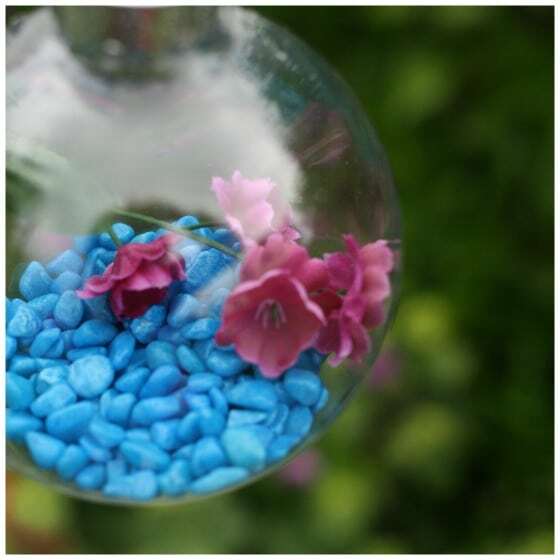 Fill them with some small stones, artificial plants and some plastic fish/animals/insects and make tiny hanging wildlife terrariums! 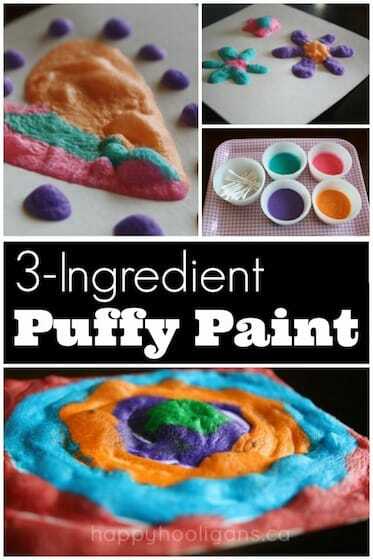 Now I want to try both ideas! Can you get those ornaments this time of year? i LOVE THESE CHRISTMAS ORNAMENT BALLS. I WAS WONDERING WHERE YOU ARE ABLE TO PURCHASE THEM? I LIVE IN AUSTRALIA (SYDNEY) AND HAVEN’T SEEN THEM HERE. MY DAUGHTER IS GETTING MARRIED (2 YEARS WHICH WILL GO QUICK) AND I AM STARTING TO WORK ON IDEAS. I’m not sure where you get them in Australia, Cherie, but here, we get them at the major craft stores like Michael’s Crafts, Hobby Lobby and even at the Dollar Stores. They might only stock them around Christmastime though. 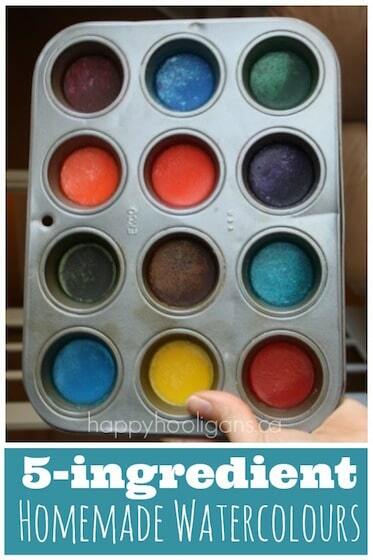 I would ask at your local craft store if they can order them for you. Otherwise, you might have to do some googling to see if you can order them online. I know Amazon carries them, but I’m not sure if they ship to you.